Aussie Underdogs are an Oceania based multi-gaming community which has been prominent in the Oceania PC FPS scene since BF2. We are a community of mature and fun gamers who’s primary goal is for its members to have fun at all times. Because of this goal we do not discriminate members for their skill level in games. This creates a fun and relaxed environment that promotes a drama free and hacking free community of like-minded people who are about fun, teamwork, and dedication – winning is just a consistent perk. Are you ready to join the fun? We've seen the OCE Battlefield scene grow from its infancy in the netGameRadio days, and our members have grown along the way. A testament to the environment is the number of players that naturally move onto other things in gaming and life quite often find their way back years later- myself included! Currently, we are looking for both casual community members, and will be looking to form a new competitive BFV team in the near future to continue on our tradition of providing an environment for gamers of all skill levels and ambitions. Hit us up on Discord here if you are an active player interested in squad-based "PTFO" gameplay, and enjoy a laugh of those famous Battlefield moments. Feel free to shout out if you have any questions. Bump, still recruiting. 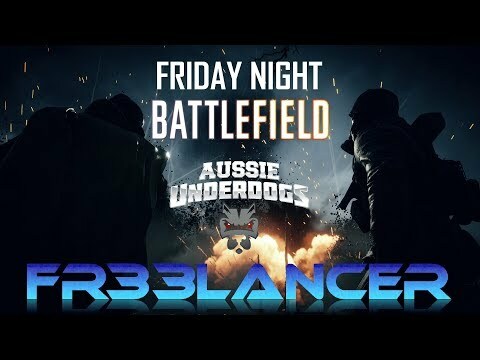 Head over to discord now to join in our our Friday Night Battlefield fun! Are you guys the Au clan that absorbed =UWS= later in BF2 days? If you guys we used to practice scrim on the regular with ya's as Affliction (now NBA, Naki **** and munters and Affliction).